The first major public event of the year at the UCL Bloomsbury Campus will be a panel discussion on Dickens’s London on the evening of Thursday 15 March from 6pm. It will be followed by a drinks reception in the South Cloisters. An exhibition on UCL and Dickens’s London will run through the day in the South Cloisters. The broadcaster and UCL Fellow Mark Lawson will chair a panel discussion and question and answer session with Rosemary Ashton, OBE, UCL Quain Professor of English, popular London historian Jerry White and Julian Hunt, FRS, author of London’s Environment. 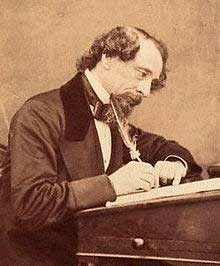 Dickens's bicentennial provides an opportunity for an examination of Dickens’s London, the improvements in the urban environment and public health since his time and the resonances for global megacities.